Do you need help providing math practice specific to students' needs according to the Learning Continuum? 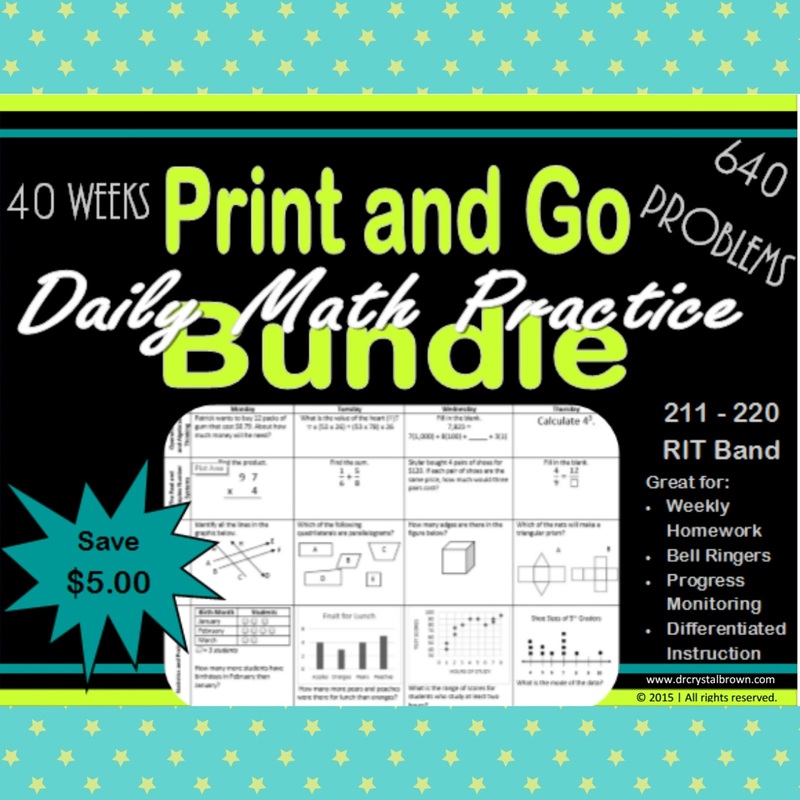 This bundle provides students with a daily dose of Operations & Algebraic Thinking, Real & Complex Number Systems, Geometry, and Statistics & Probability problems for the 211 - 220 RIT Band. Visit Dr Crystal Brown TpT Store to preview and order your bundle. Bundles for other RIT Bands are available. Each bundle includes 40 weeks of practice problems.